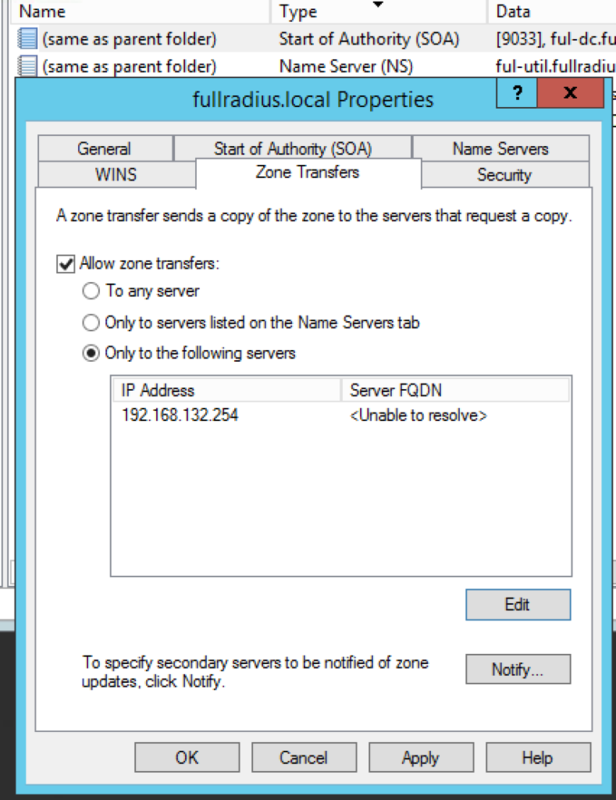 This post goes over how to setup a FortiGate firewall as a slave DNS server to a Windows DNS master. 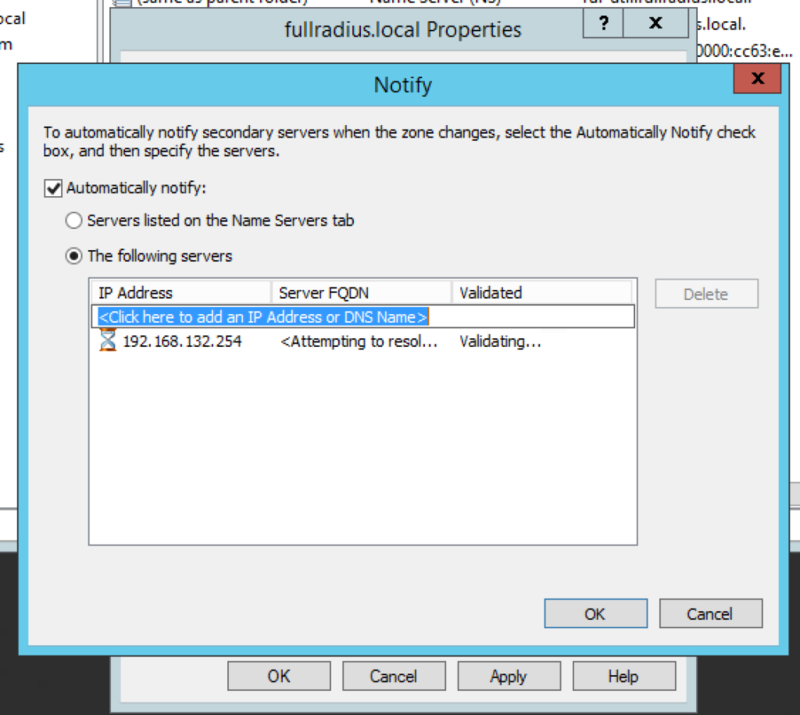 This is a great feature to enable for branch offices or even as basic redundancy to a single Windows DNS server. Double click on the zone you want to replicate and locate the SOA record and edit it. Go to the Zone Transfer tab and enable zone transfers. You can leave it at ‘To any server’ but I would select ‘Only to the following servers’ and enter the IP of your FortiGate. Click Notify, select Automatically notify and enter the IP of your FortiGate. That’s it! Test it from the CLI with the following command, you should see your zone file transferred!